Bejeweled insects were very popular motifs in the late Victorian era. The bee in particular was a favorite as it symbolized productive industry, as in "busy as a bee". 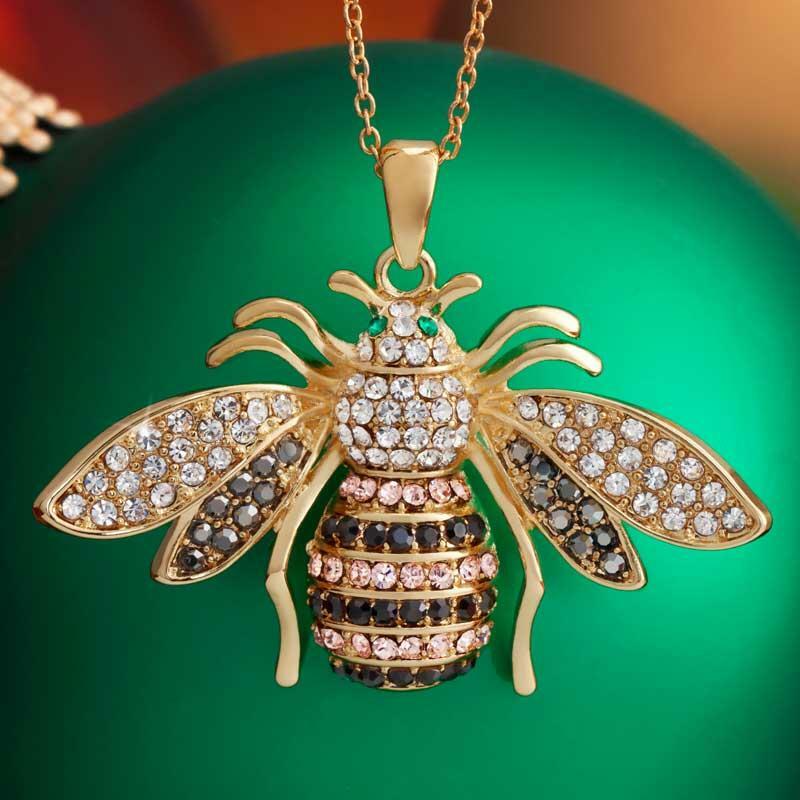 Our sweet little bumble bee is busy catching the light and compliments as it sparkles with over 120 DiamondAura® rounds. Our DiamondAura is fashioned using precision technologies, temperatures and techniques, resulting in a gemstone with a dazzle and purity that’s superior to a mined diamond, but at a much lower price. Delight your honey with a piece of jewelry that could create quite the buzz at an estate sale for a price that doesn't sting.